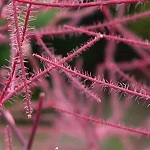 Santalum album is a medium-sized evergreen tree with opposite, leathery leaves. It is found in tropical Asia through Australia to Hawaii. Like most species of the genus Santalum it is a root parasite, tapping the roots of other species for water and inorganic nutrients (the mistletoe, Viscum album, parasiting braches of different trees, is a relative). 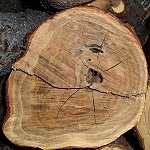 The wood of S. album is highly aromatic. The light sapwood is used for wood carvings, whereas the darker wood from the core is steam distilled, yielding the precious sandalwood oil. Bits and pieces are used for incense sticks, etc. 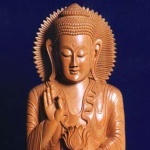 One of the most famous sites of cultivation is Mysore in India. The trees must be 30 years before the oil production pays off. The yield is not more than 5 %. Freshly distilled sandalwood oil has a wonderful odour - an extremely soft, sweet-woody and delicately animal-balsamic odour. For thousands of years it has been one of perfumery's most precious items. It forms the basis of heavy Oriental compositions, and creates delightful combinations with rose, violet, tuberose, clove, bergamot, lavender and a lot of other fragrant materials. 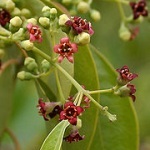 Sandalwood oil mainly consists of a number of closely related sesquiterpenoids. Alpha-santalol and beta-santalol amount to more than 90 % of the oil, beta-santalol beeing the most important character impact compound. alpha-santalol - "A relatively weak, slightly woody odour reminiscent of alpha-cedrene." beta-Santalol was synthesized in the laboratory for the first time in 1990 by an 11-step synthesis, a process completely unrealistic on an industrial scale. Today, the finest substitutes are derived from campholenic aldehyde, for instance Santaliff ®, produced by IFF (International Flavours & Fragrances Inc.). Javanol ®, by Givaudan, is a new 'cyclomethylene analogue' of this compound. It turns out that substituting the alkene double bonds with the almost isosteric cyclopropane rings creates increased olfactory power and stability. 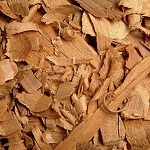 Javanol ® has a strongly diffusive, natural, creamy sandalwood note with rosy shadings. Interestingly, 3,7-dimethyl-7-methoxy-2-octanol also has a fine (but weaker) sandalwood character. It was formerly produced by Bush Boake Allen under the name of Osyrol ® (Osyris is another genus of the sandalwood family). Z. simulans, Z. schinifolium, Z. alatum, etc.) are used as a spice in Asia and sometimes called the 3'rd pepper, next to black pepper and chili pepper. 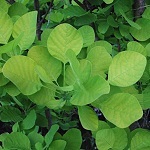 Z. piperitum is widely used in Japan, China and Korea as a spice for its flavour and special pungency. 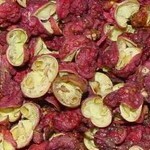 Not only the dried pericarps (photo) are used, the fresh young leaves, for example, are used as a topping on dishes. Geraniol, citronellal, linalool and methyl cinnamate are found to be important flavour compounds in the dried pericarps by aroma extract dilution analysis . The pungency of the Zanthoxylum peppers is due to alkamides derived from polyunsaturated carboxylic acids, mainly alpha-sanshool (N-isobutyl (2E, 6Z, 8E, 10E)-dodecatetraenoic amide) and hydroxy-alpha-sanshool. They are considerably less potent than capsaicin from chili and shows another sensory modality. The sanshools cause not only a burning sensation ("piri piri" in Japanese), but also a tingling one ("hiri hiri" in Japanese), and definitely also a numbing sensation at high levels . Etymology: Chi. shanjiao, mountain pepper; Sichuan, a province in the central-western China; Gr. xanthon xylon, yellow wood; Eng. 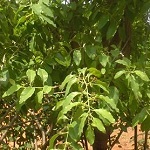 prickly ash, the leaves superficially resemble those of ash, but the branches are thorny. 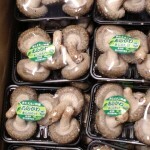 Shiitake is a popular edible mushroom from the Far East, for example served in miso soup. It is cultured on logs of the shii tree, Castanopsis (Querqus) cuspidata (Fagaceae), and exported in the dry state or pickled. 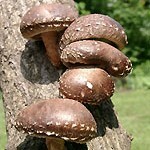 An important odoriferous principle of shiitake is 1,2,3,5,6-pentathiepane, called lenthionine. In the pure state it is a crystalline substance (m.p. 60 °C) . 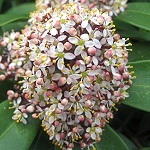 Genus Skimmia of the Rutaceans includes about 12 species from East Asia (Himalaya, Japan, China, Philippines and Taiwan). 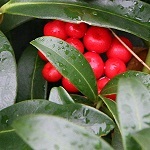 Especially Skimmia japonica is a popular evergreen garden shrub with many cultured varieties. 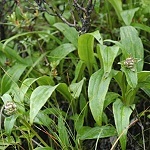 The wild type has white flowers emitting a diffusive, light floral smell with notes in common with lily-of-the-valley, although it is more transparent. Surburg et al. investigated this scent by a vacuum headspace method and found indeed some compounds in common with lily-of-the-valley: farnesol (19 %) and 2,3-dihydrofarnesol (1 %), phenethyl alcohol (22 %), phenylacetaldehyde oxime (13 %) and phenylacetonitrile (7 %). Other main constituents were nerolidol (12 %), germacrene-D (2 %), 5-methyl-2-heptanone (2 %) and 5-methyl-2-heptanol (1 %). The last two compounds are important for the top note, displaying a fresh, fatty and slightly citrus-like odor . 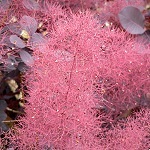 The Eurasian smoke bush has its natural range from the Mediterranean area to Himalaya and Central Asia and thrives on sunny slopes and light-open bushlands. Only few of its many tiny flowers develop to fruits, the rest are skipped and their stalks lengthen and are covered by violet hairs making the whole infructescence resemble a smoke cloud (or a wig). The egg-shaped leaves smell somewhat kerosene-like when crushed (see also Mango and Pink pepper, other members of the Anacardiaceae). Novakovic et al. analyzed the oil obtained from hydrodistillation of the leaves by GC-MS and found that (E)-2-hexenal, alpha-pinene, limonene, (Z)-beta-ocimene and terpinolene were the major constituents . The genus Saponaria of the carnation family includes around 30 species, most of them from the Mediterranean area, the others from the temperate zones of Eurasia. S. officinalis grows throughout Europe and western Siberia, most commonly on grassy roadsides but also by streams and in damp woods. It is a typical vespertine plant, i.e. 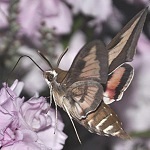 the flowers are evening-scented and have sphingid moths (hawk-moths, sphinx-moths) as important pollinators. The filled garden variety, S. officinalis var. rosea plena strays easily and is often seen. The photo at the right is from Mölle in southern Sweden and shows these flowers with a foraging Bedstraw Hawk-Moth, Hyles gallii (Sphingidae). Plepys et al. investigated the headspace of common soapwort flowers for compounds electrophysiologically active in Silver Y Moth, Autographa gamma. Among these were benzyl alcohol, phenethyl alcohol, methyl benzoate, benzyl benzoate, phenylacetonitrile, methyl anthranilate, germacrene D and farnesene . Etymology: Lat. sapo, soap. 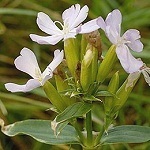 The roots of soapwort contain surfactant glucoterpenoids called saponins. They make water foam and have been used as soap for special purposes. Lat. officinalis, used medically. Botanical systematics is in trouble with the mint species because of the multitude of varieties and crossings. Some 15 variable species may be defined, all natives of Eurasia. They are fast-growing perennial herbs with strongly odoriferous essential oils. Several of these are of great economical importance. 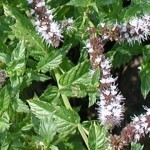 Spearmint is characterized by its high level of (-)-carvone (> 50 %) , perceivable at the slightest touch of the plant. The odour of spearmint is rather different from that of peppermint. 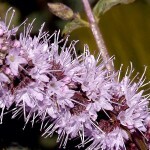 A number of unusual pyridine derivatives have been identified in Scotch spearmint oil, a major of these being 2-acetyl-4-isopropenylpyridine, having a powerful grassy-sweet and minty odor . Spearmint oil is extensively used in chewing gum, tooth paste, etc. One of the worlds major production areas (ca. 1000 t/y) is the state of Washington in USA . P.S. The odour of (-)-carvone differs from that of (+)-carvone. The odour of (-)-carvone is fresher, sweeter and much more diffusive. characteristic large rhizome with a dense sheath of woody stalk remnants from withered leaves. 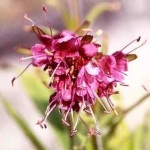 The essential oil of the spikenard rhizome is one of the oldest known perfumery materials, already cherished by the Pharaos and used in royal cosmetic preparations. It is mentioned in the Bible in the song of Solomon, and Mary Magdalena anointed Jesus’ feet with it before the Last Supper: "Then took Mary a pound of ointment of Spikenard, very costly, and anointed the feet of Jesus, and wiped his feet with her hair; and the house was filled with the odor of the ointment" (John 12:3). Spikenard oil is part of the Ayurvedic herbal tradition of India and is subject to continued pharmaceutical investigations. Major ingredients are iridoids, sesquiterpenes, valeric acid derivates and flavones . Habitat destruction and over-exploitation of the plant (gathered for medicinal properties of the rhizomes) have caused steady decline in plant numbers. Some limited cultivation in India and China has been undertaken. An initiative for Nardostachys spp. cultivation between an NGO and Nepalese farmers is currently in place . Chinese star anise is an evergreen bush of the magnolia order grown in Vietnam and southern China. The ripe, strongly anise-smelling fruits open up in a star. 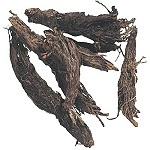 They are used as a spice, and for the production of star anise oil by steam distillation. (E)-anethole . 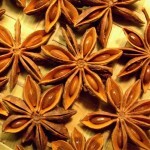 Star anise oil, and (E)-anethole isolated from it, is used in anise liqueur (Anisette, Sambuca) and anise brandy (Pernod, Ouzo, Raki, Arak), liquorice sweets, tooth-paste, etc. 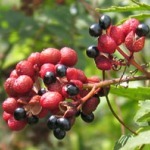 It has almost completely replaced the original anise seed oil, obtained from the umbellifer Pimpinella anisum. 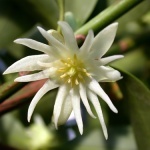 Shikimic acid, used in the production of the antiviral drug Tamiflu ® (Roche), is extracted from the fruits of Chinese star anise and related species . The closely related Japanese star anise, I. anisatum, is highly toxic! It contains a poisonous sesquiterpene lactone, called anisatin, causing severe inflammation of the kidneys, urinary tract and digestive organs, as well as affecting the nervous system .